Come and spend a fantastic day at Mahmya beach on Giftun Island. Relax on the fabulous beach and go snorkeling among the stunning reefs in the crystal waters.There is also an Aqua Trampoline for the children to enjoy. 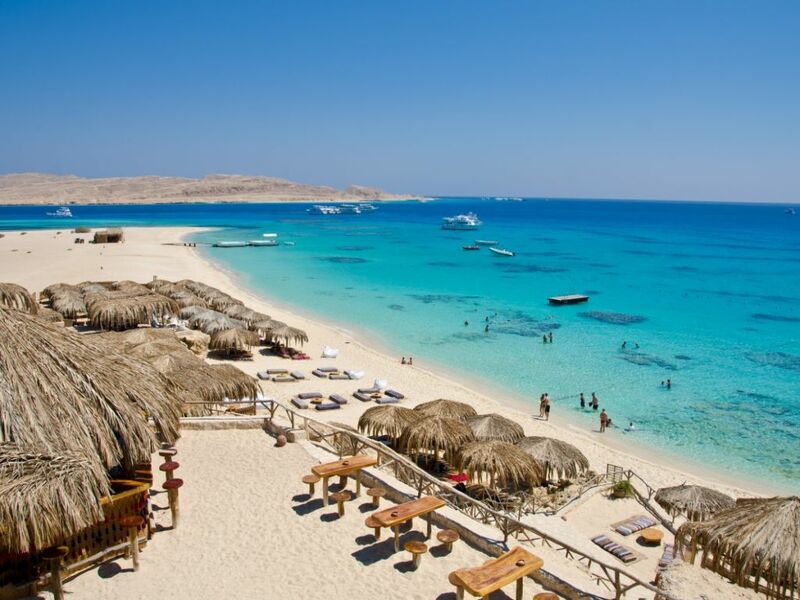 Our Reflections representative will pick you up from your Hotel in Hurghada to enjoy a fabulous day trip to Mahmya. Once you have boarded your boat you will sail for approx. 1 hour to the Island.Mahmya beach lies on the Southern Shores of Giftun Island National Park. Mahmya which means Protected Area in Arabic protects all Marine life and Coral Reefs. The boat will moor at buoys off the bay where you will be taken by samller boats to the Shore. Upon landing on the Island you can now enjoy your snorkeling and view the beautiful Corals in the crystal clear waters. Take a walk along the beach or enjoy fantastic beach volleyball, or if you prefer relax on the beautiful white beach.There is also Aqua Trampoline for children. Relax and enjoy lunch at the restaurant with many choices and later enjoy drinks at the bar. At the end of a fantastic day sail back to the Marina where you will be met and transferred to your Hotel in Hurghada.